Check out our notes and observations to help you plan (or remember) many of the locations and sites of special interest that are covered by our tours and use this guide to help prepare your own personalized tour – or select from one of our ‘ready made’ Signature Tours or Excursions. Having been decimated by two major earthquakes – once in 1735 and again as recently as 1960 – it’s no surprise that Agadir has been looking to its the future rather than the past. And it’s an attribute that this seventh largest city in Morocco takes great pride in. 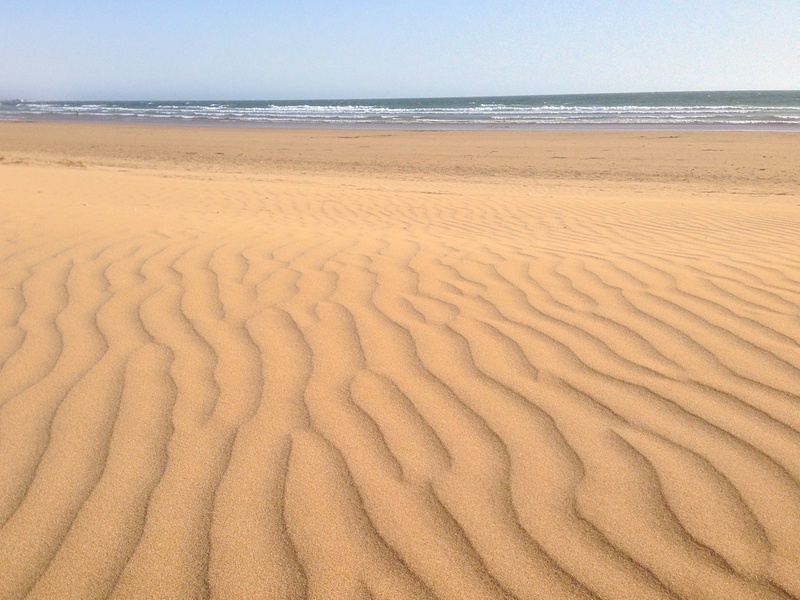 Little remains of the ancient Agadir – but the city has capitalized on nature’s gifts which include 10kms of glorious beaches and 340 days of sunshine each year. 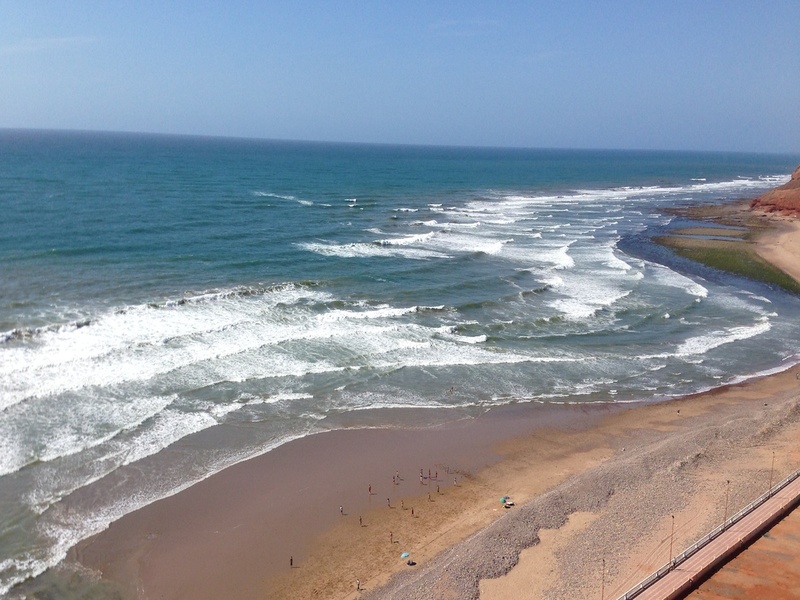 Not only is Agadir Morocco’s largest seaside resort, it is also firmly established as a popular holiday destination with visitors from cooler European climes. The extensive promenade incorporates numerous luxury beachfront hotels while European-style cafés, restaurants and bars adorn the boulevards and backstreets. 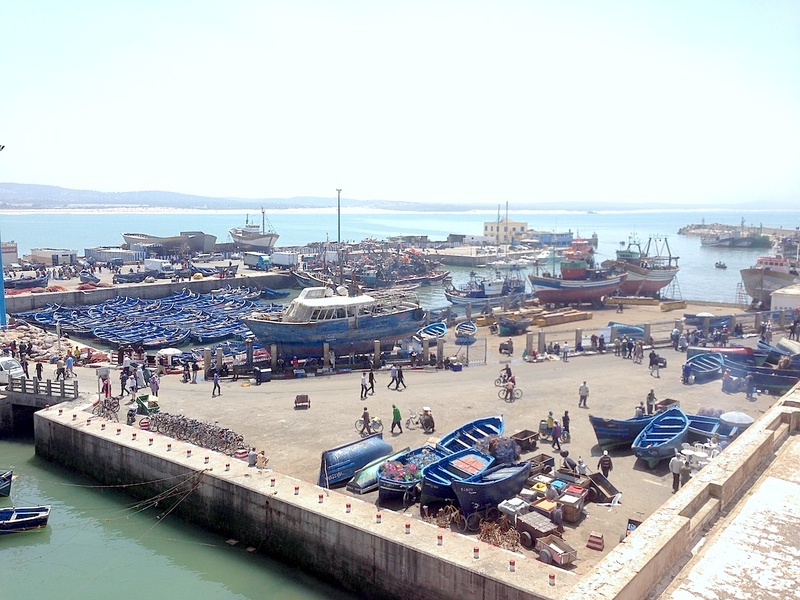 Apart from tourism, much of Agadir’s economy is channelled through its commercial port and fishing port – so fish and seafood feature dominantly on most menus. There’s also a modern-day souk, which offers more interest and choice than the typical souvenir shops, and kiosks that abound throughout this resort. 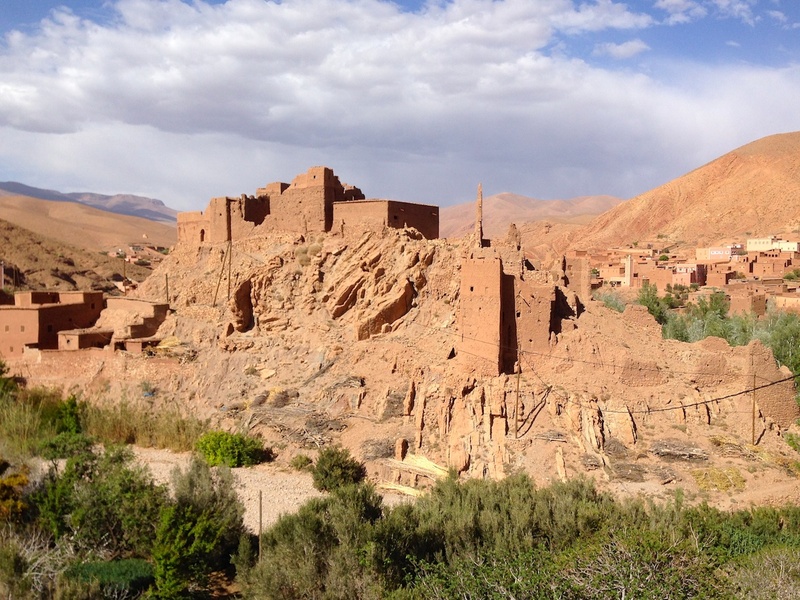 The historic ksar(fortified city) of Aït Ben Haddou is one of the iconic images of Morocco – and its location in the Ounila Valley makes it highly accessible for a day trip or as part of a pre-arranged tour. Granted UNESCO World Heritage Site status in 1987, Aït Ben Haddou remains partially occupied as generations of inhabitants migrated across the river to a new Berber village as time and the elements took their toll on the original construction. The setting for this ksar is nothing short of spectacular. Its commanding position in the valley evolved along a former caravan route from the Sahara, passing through the Tizi n’Tichka Pass and onward to Marrakech. And, it’s a setting that hasn’t gone unnoticed by movie producers. The high, defensive walls, narrow passages, earth and clay construction and exotic landscape surrounding, have been the location backdrop for numerous blockbusters including Lawrence of Arabia, The Living Daylights, Indiana Jones, Gladiator and most recently for the TV series Game of Thrones. If time and energy allow, the climb to the very summit of the ksar will reward you with memorable views across the valley and the neighbouring kasbahs. Alternatively, you can explore some of the original dwellings, which have been converted, into makeshift shops selling handmade goods and local artwork. 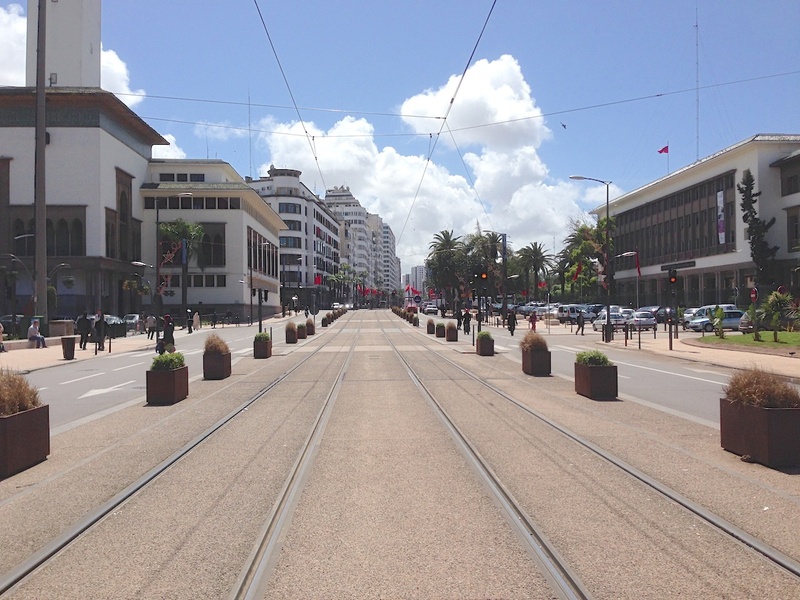 In spite of the romantic associations with its Spanish name – and the 1942 movie – Casablanca is more of a thriving industrial and commercial centre than an outright tourist destination. But it’s not to be missed! With its early Berber settlements dating back to the 7th Century BC, the Casablanca of today pulls in a chequered history of invasion, revolt and power struggles involving the Phoenicians, the Romans, Portuguese, Spanish and French. The result – a truly cosmopolitan city with its wealth founded on a fertile and mineral-rich hinterland and the largest commercial port in North Africa. ‘Casa’ – as it is known colloquially – thinks and acts big: the biggest city in Morocco and home to the largest mosque and biggest shopping centre in Africa. 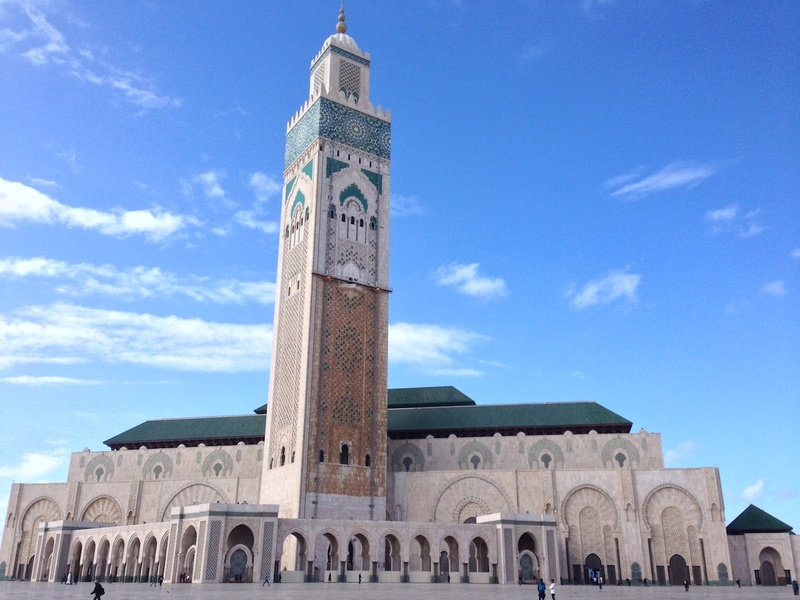 The Hassan II Mosque, which can accommodate 25,000 worshippers inside and a further 80,000 on the plazas outside, is an essential stopover. With its incredible architecture, attention to detail (the doors are made of titanium and there’s a sliding roof so prayers can be offered in sunlight or under the stars) and the sheer magnificence of the thousands of artisans whose skills will take your breath away, expect the Hassan II Mosque to leave you grasping for superlatives. The official tour price of 120 MAD (2014) is well worth paying for. There are multi-lingual guides to amaze you with all sorts of statistics, history and anecdotes while accompanying you through the main prayer hall and to the lower level of the Mosque which houses the ablutions halls and Turkish baths. If your journey allows time for a coffee or lunch, head a little way south from the Mosque to Casablanca’s Corniche with its beachfront bars and restaurants. With its cool Atlantic breeze, this is a popular haunt for the well heeled and chic of Casa to chill by day and by night. Of course, a visit to Casablanca would not be complete without a visit to Rick’s Café, immortalized in the movie Casablanca. Indeed, Rick’s Café is here – although the movie was filmed entirely in California. Bogart and Bergman never set foot in Casa for the location shots! An old fortress town dating back to the 15th century, Chefchaouen offers a relaxed and fascinating glimpse of Morocco – without all the hustle and bustle of big city life. With its easy access from Tanger and idyllic Rif Mountains location in the northeast of the country, Chefchaouen continues to grow in popularity as a tourist destination and stopover for travellers. 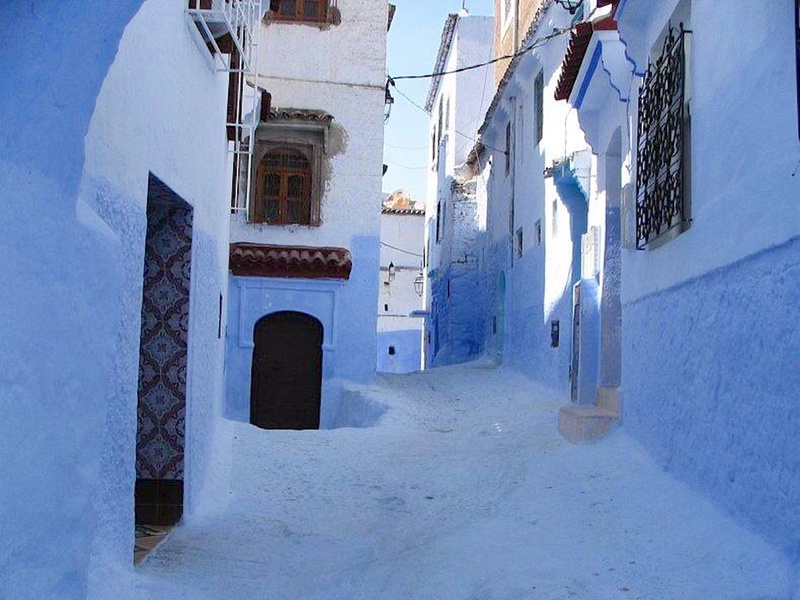 Renowned for its azure-blue coloured buildings, the town enjoys a laid-back lifestyle allowing you plenty of time to meander through the streets, enjoy some fabulous local dishes – especially the pastries and tajines – and to browse and buy at your leisure in the medina. Hats, jewelry, ceramics and leather featuring high on the list of locally produced goods. Chefchaouen’s hillside location is a an ideal base for trekking, enjoying the fabulous views and clear skies or just simply soaking up the local atmosphere and people watching while drinking mint tea and mingling with the locals at a street café. 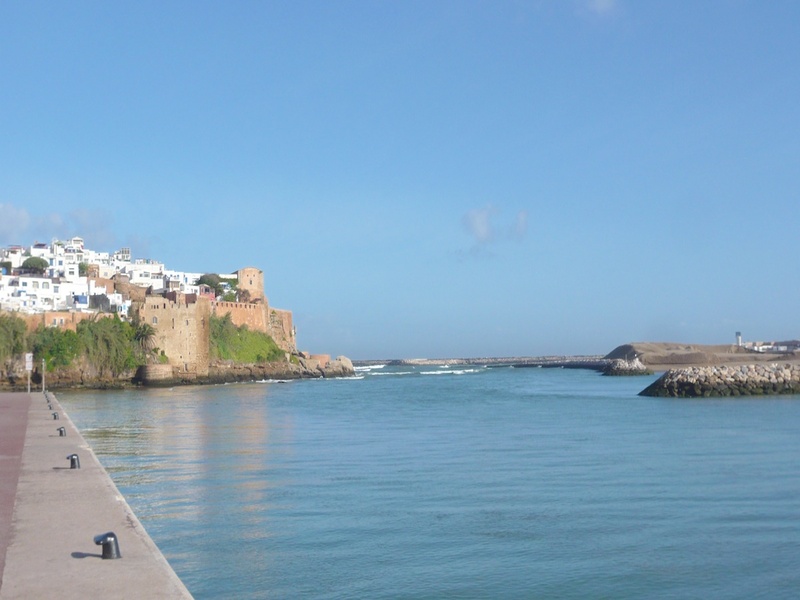 Take a large, sweeping 10km bay of golden sand and Atlantic waves, add a commercial harbour built in 1765, a bustling fishing port, historic ramparts and a medina with a sprinkling of Bohemian lifestyle – and you have Essaouira. Noted for its laid-back lifestyle and indigo blue painted doors and fishing boats, it’s no surprise that this small seaside town is such a favourite with Moroccans and visitors alike. 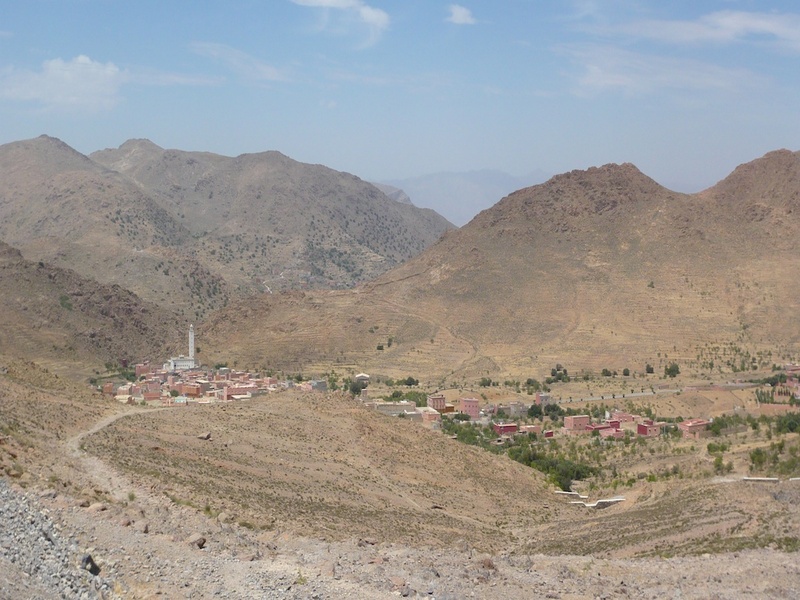 First inhabited by Berbers in the 6th century BC, the town has experienced several changes of name – each according to its respective occupants. The Greeks, Phoenicians, Carthaginians, Romans and Portuguese each brought their own influence to the development of this important trading port. The French renamed the town “Mogador” at the beginning of the 20th century but during the 1950s it regained its Arabic name of Soura with a slight grammatical modification to which we know now as Essaouira. Unlike the labyrinth of winding and often covered alleys in the souks of Marrakech, the souks and squares of Essaouira are set out in an open-air grid system. This makes life much easier to find your way around…and back to where you started from! The relaxed way of life and gentle climate continues to attract artists, both visual and musical. Colourful and traditional artwork is for sale throughout the town and you may find yourself watching or joining in with some of the planned or impromptu musical entertainment that Essaouira has to offer. Not to be missed is lunch and a little fun. But first, you have to buy it. Head for the port and choose from the ‘catch of the day’. Then, take your purchase to one of the local restaurants that will offer to cook and serve your “catch” for you. From the Ocean to the table in a matter of hours. 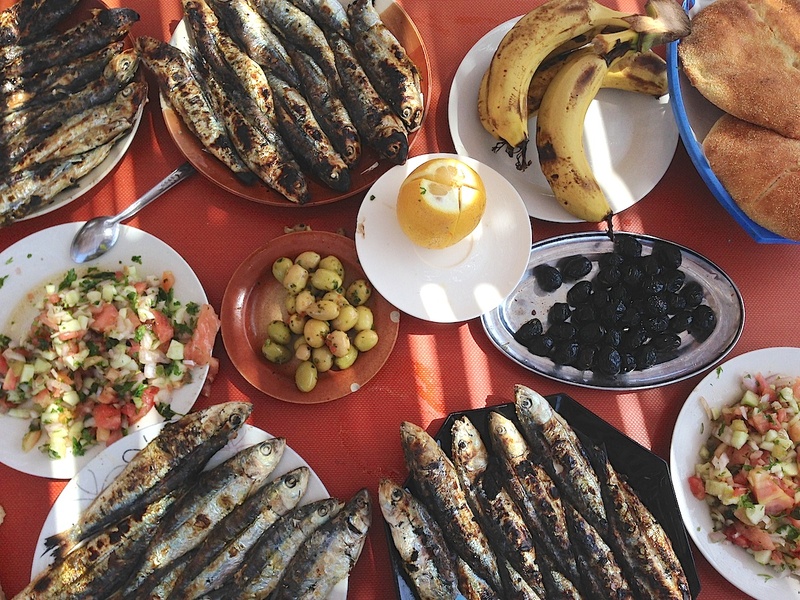 Lunch doesn’t get much fresher than this in Essaouira! Enjoy a living history lesson as you travel from Ouarzazate and Skoura towards the Todra Gorge, deep in the Dadès Valley in the Atlas Mountains. 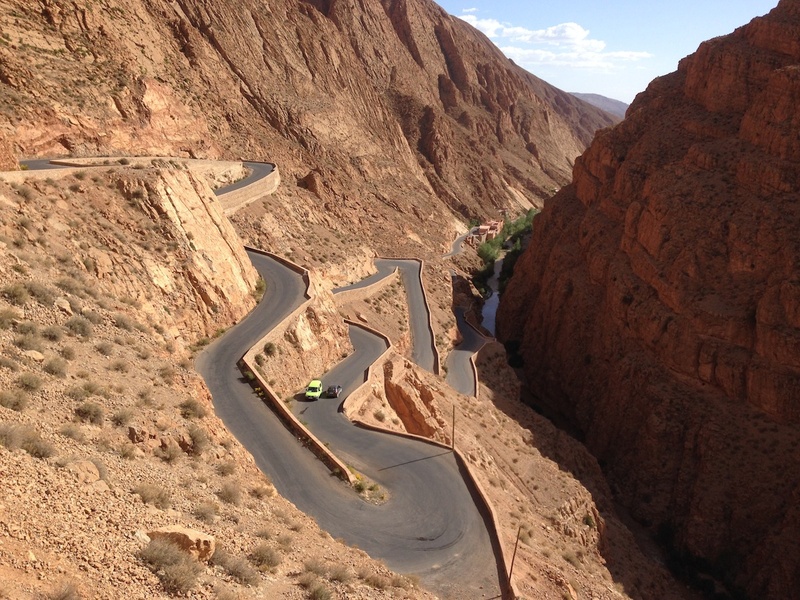 Known locally as the Road of a Thousand Kasbahs (originating from the hundreds of Berber villages spread throughout the Valley), the scenery changes with every bend as the winding road climbs steadily. With figs, almonds, walnuts, dates, olives, prunes and grapes growing in abundance among the shelter of the Silver Birch trees in the fertile valley, your attention will be frequently distracted by the unusual – and at times, magnificent – rock formations remaining from the immense power of erosion from the Dadès River. 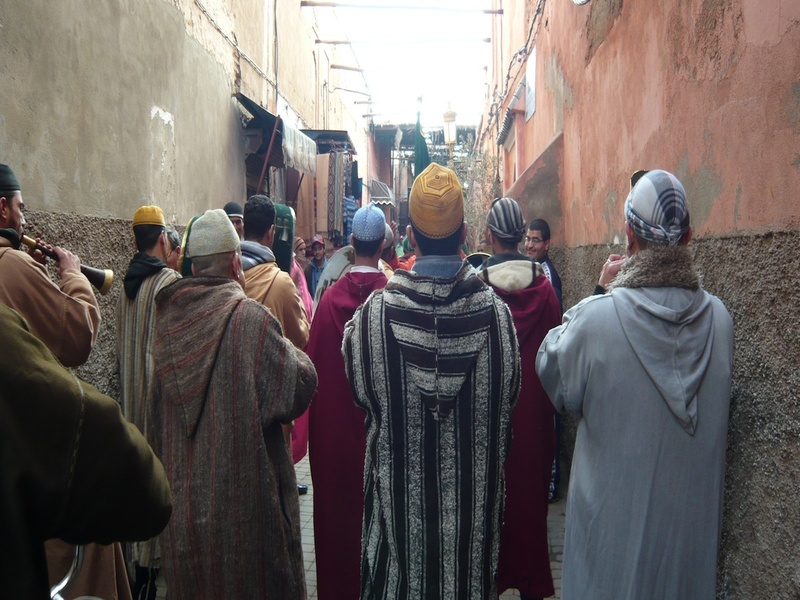 While many consider Marrakech to be the “fun” capital of Morocco, Fès is indisputably the spiritual capital of the country. As with Marrakech, Fès has its French-influenced “new town”. But it’s the city’s history, monuments and medina that tend to amaze and leave visitors spellbound. One of Morocco’s four Imperial Cities – and, with the Fès el Bali Medina, the first of the country’s designated UNESCO World Heritage Sites – Fès offers a real opportunity to step back in time to observe and absorb the city’s heritage of fondouks, palaces, mosques and souks. Reputed to be the oldest university in the world, the University of al-Karaouine was founded in AD 859 as a mosque but soon evolved into a place of worship and a seat of learning. 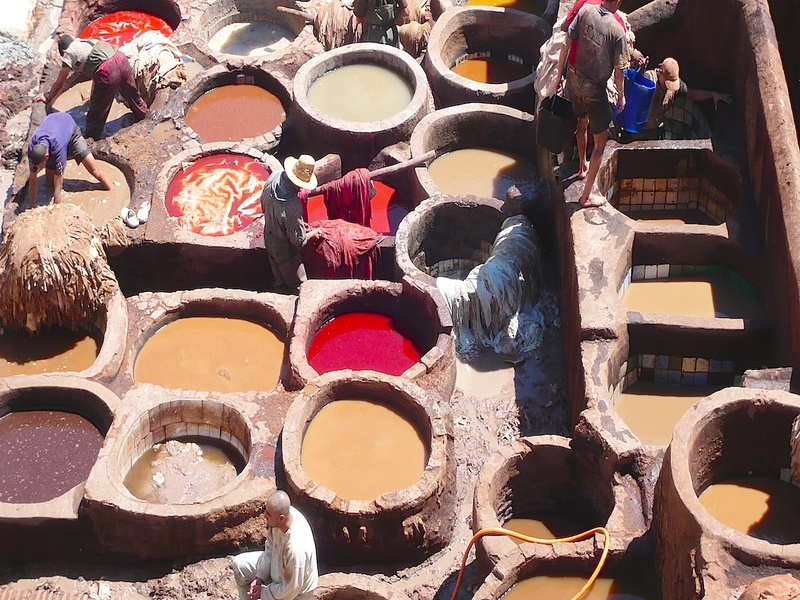 The 11th century Chouwara Tannery is a “must see” on your visit to Fès as it attacks the senses in more ways than one. Visually, it’s like watching something from a time capsule as the tanners prepare and treat animal hides among a vast array of vats containing coloured dyes – a method of tanning leather that has remained virtually unchanged for centuries. And, did we mention the smell? It’s not enough to put you off a visit, but be prepared – and be ready for the inevitable sales presentation should you choose to watch the action from the terrace of one of the many shops surrounding the tannery. For something more refreshing while in the souks, take a visit to the Nejjarine Museum of Woods and Crafts. It’s housed in an old fondouk (formerly a caravanserai for traders during the 18th century) now fully restored and opened to the public in 1998. 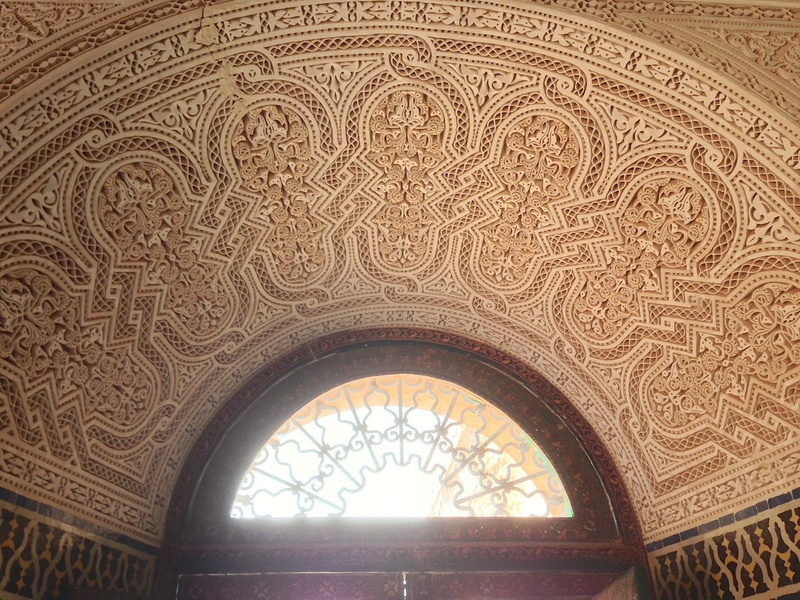 Also on your itinerary should be a brief stopover at the Royal Palace of Fez. There’s no entry allowed to the public, but the architecture, craftsmanship and construction of the façade more than compensates for this as you try to squeeze in as much as you can to the viewfinder of your camera! Unless you are going skiing, studying at the town’s university or part of the King of Morocco’s entourage, Ifrane offers little more than a most pleasant break in the journey heading south from either Fès or Meknes. Its location high in the Middle Atlas Mountains provides easy access for those looking to escape the heat of the city during the summer and as a popular ski resort during the winter months. 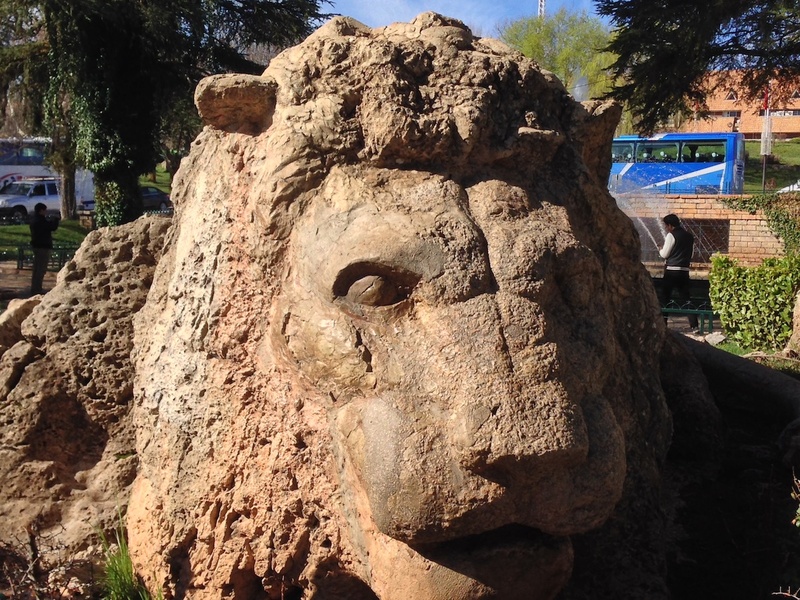 With its pseudo-Alpine appearance, one of the greatest (and most photographed) attractions of this “garden city” is the carved lion that resides in the one of the parks in the town. Naturally, the hotels and cafés have been quick to recognize this. So even if you don’t want a photo with the lion, you can always have a cup of coffee! Worth noting though is just outside the town, in the Ifrane National Park, you can pull off the road and discover a giant cedar tree reputed to be 850 years old. It’s a popular photographic moment with many visitors, especially as you are likely to be joined by the odd inquisitive monkey while framing your shot. Mystique, magic and mayhem. 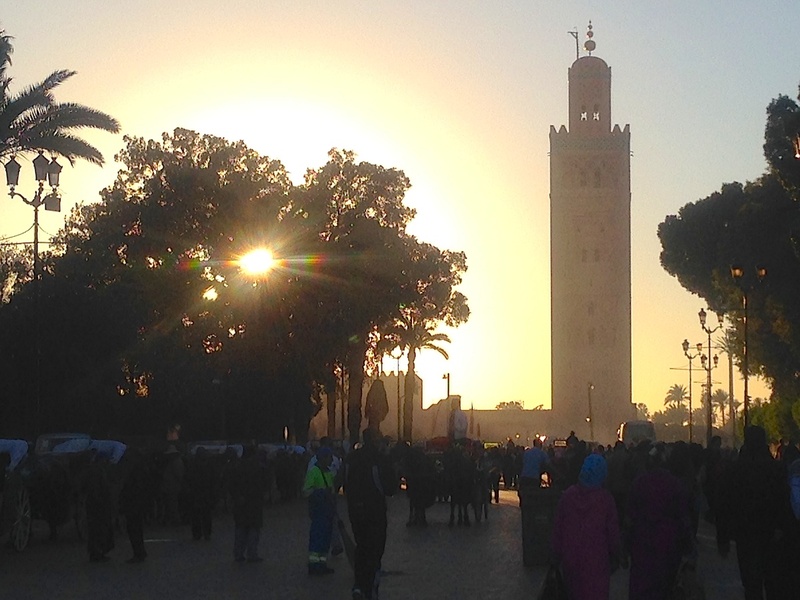 Marrakech has it all – and much, much more. Here, the focus is truly on tourism and unless you are inside your riad or hotel you’ll find everything moves at a fairly fast pace. Whether crossing one of the busy roads in Gueliz new town to get to McDonalds (as a last resort!) or moving your hips and shoulders in a strange dance-like fashion to avoid oncoming mopeds and donkeys in the narrow alleyways of the souks. But, that’s all part of the fun of Marrakech, Morocco’s fourth largest city. For locals and tourists alike, the city’s two most well known landmarks are the minaret of the Koutoubia Mosque (visible from across the city) and the adjacent Jemaa el-Fnaa square. The latter is not only a UNESCO World Heritage Site but also the largest market square in Africa. In its darker days, Jemaa el-Fnaa was a centre for public beheadings. Nowadays it is brimming with life in a mass of colour, intrigue, noise and excitement with storytellers, snake charmers, musicians, acrobats and stall holders all vying for your attention – and, dare we say, money! The square has an incessant buzz about it throughout the day and there’s no better place to take it all in than from one of the terraces of the many cafés around the perimeter. But as the sun goes down it takes on a different mantle as a small army emerges from the shadows to build an array of field kitchens. Dinner is about to be served and enjoyed – Marrakech style! Not far from the intensity of Jemaa el-Fnaa, you can explore another dimension to the rich heritage of Marrakech. 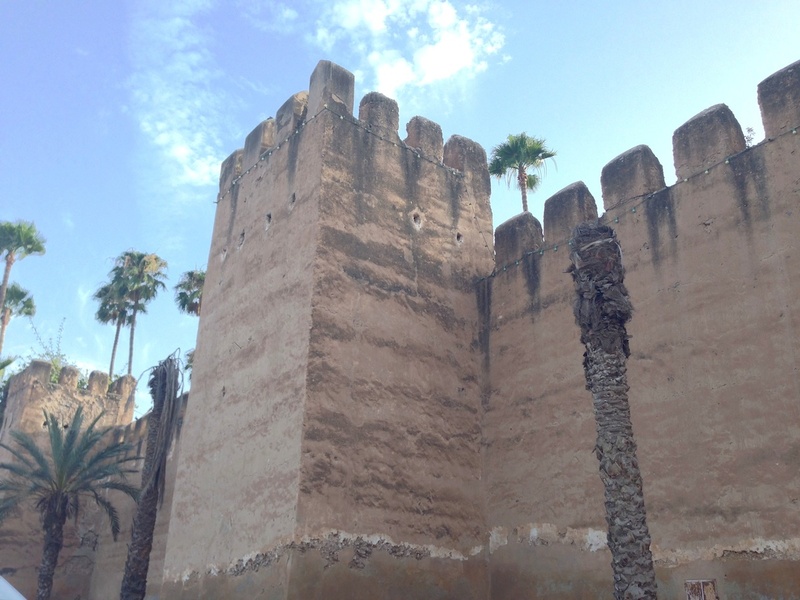 Little remains of the Badi Palace but the Bahia Palace, dating from the late 1800s offers an insight into the opulent lifestyle of a former Grand Vizier of Marrakech accompanied by his wives, concubines and children. 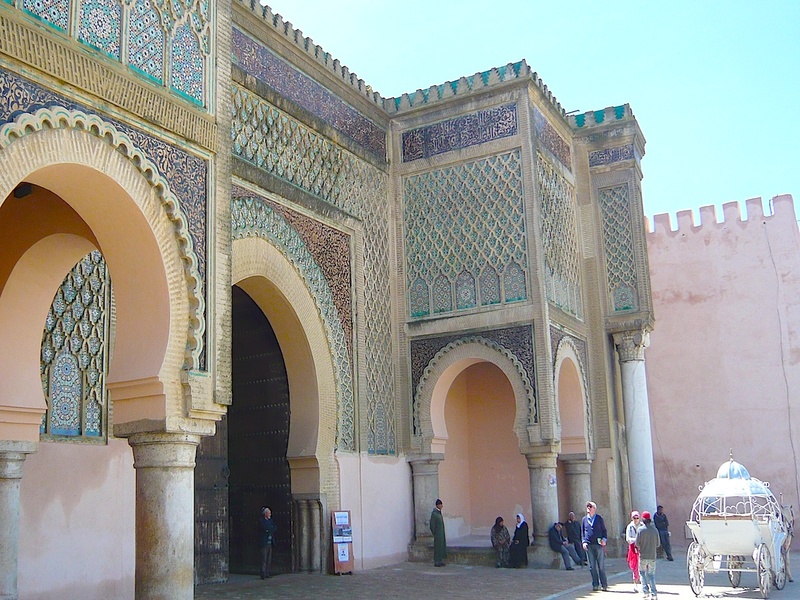 Also within walking distance of the Square are the 16th century Saadian Tombs where some 60 members of the Saadi Dynasty are interned. The mausoleum remained hidden for years until being rediscovered by aerial photography in 1917. 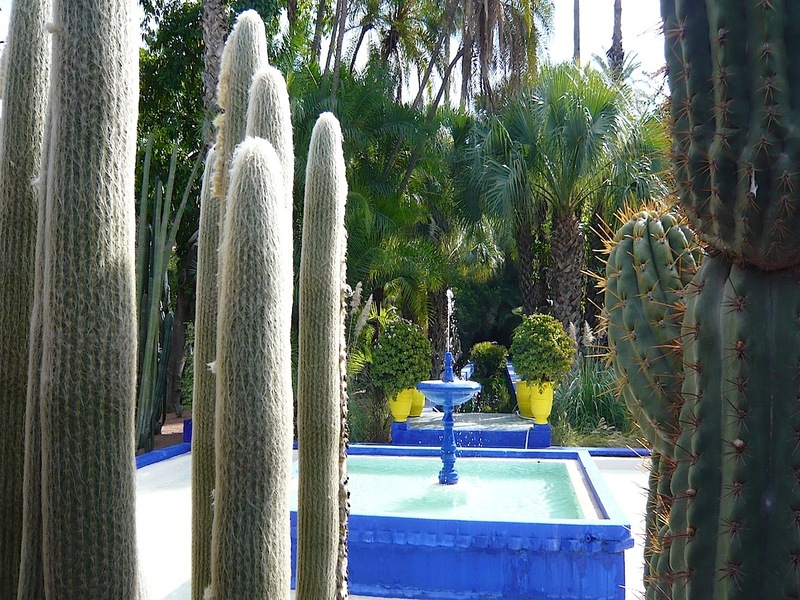 For a truly different Marrakech experience, take a trip to the Jardin Majorelle in the new town area of Gueliz. Walk through the entrance and it’s like stepping into a calm oasis of peace and colour, which seems totally removed from the intensity of life outside. Created by French artist Jacques Majorelle, the gardens were first opened to the public in 1947 to relieve some of his financial burden of the upkeep. During the 1960s, Yves Saint Laurent and lifelong friend and business partner Pierre Bergé became frequent visitors. They became so enamoured with the gardens and its buildings that in 1980 they purchased Jardin Majorelle to prevent it being razed to the ground and the plot transformed into a hotel complex. The gardens also contain a Berber museum, converted from the studio of the late artist, which provides a fascinating insight to the creativity and skills of Berber tribes in making clothing, jewellery and other artefacts. You can round off a relaxing couple of hours here with a cool drink or coffee in the garden’s café. In some parts of Marrakech it seems as though time has stood still for centuries. In others, there’s an eye to the future and the need to cater for the broad range of tastes and lifestyles that are shaping the development of the city. A growing choice of international cuisine, the biggest nightclub in North Africa, its own motor racing circuit and luxury hotels are a strong indication that Marrakech is already much more than somewhere to purchase a few trinkets from the souks. Enjoy! In spite of its Imperial City status since the 17th century, Meknes is relatively untouched by tourism compared to its peers. 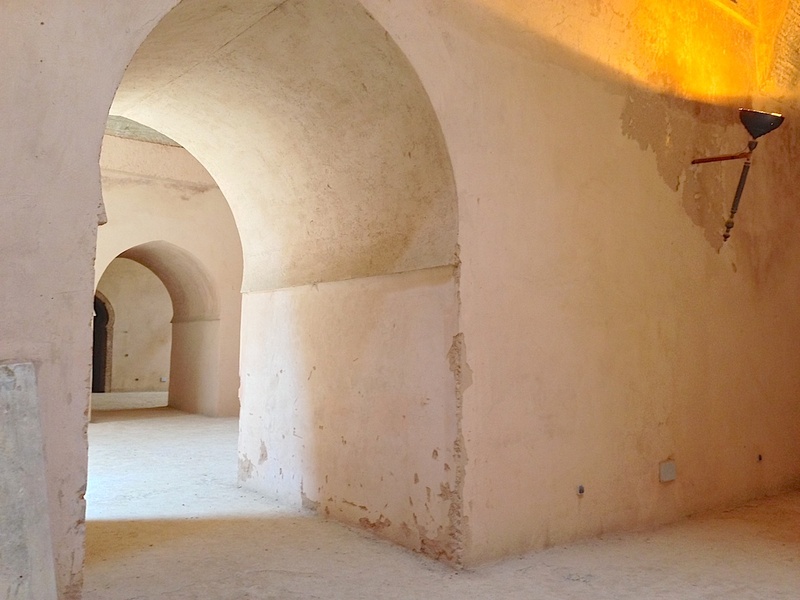 But, with around 40km of fortifications, the Bab Mansour (reputedly the largest monumental gate in Africa) and the vast array of granaries, mosques, stables, mausolea and gardens attributed to Sultan Moulay Ismael who founded the royal city, it’s no surprise that Meknes is an important location in our itineraries. Located at the heart of one of Morocco’s most fertile regions, Meknes has emerged as a major wine-producing centre with many of its fine wines adorning the tables of the country’s most elite restaurants. 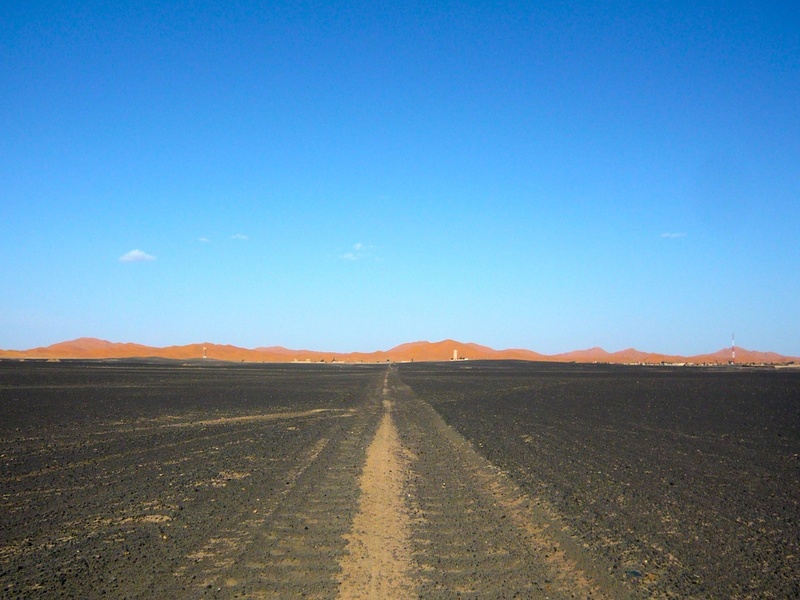 Every journey to Merzouga is filled with anticipation and excitement. As you head south from Erfoud, the date palms give way to what resembles an endless lunar landscape. Slowly, the dunes begin to rise above the horizon and finally you can start to appreciate the majesty of the Sahara. Merzouga itself is an old village (less than 50km from the border with Algeria) but, with the growth of tourism, Merzouga now embraces a strip of land comprising numerous auberges and ranch-like establishments which serve as your base while you embark on your desert adventure. 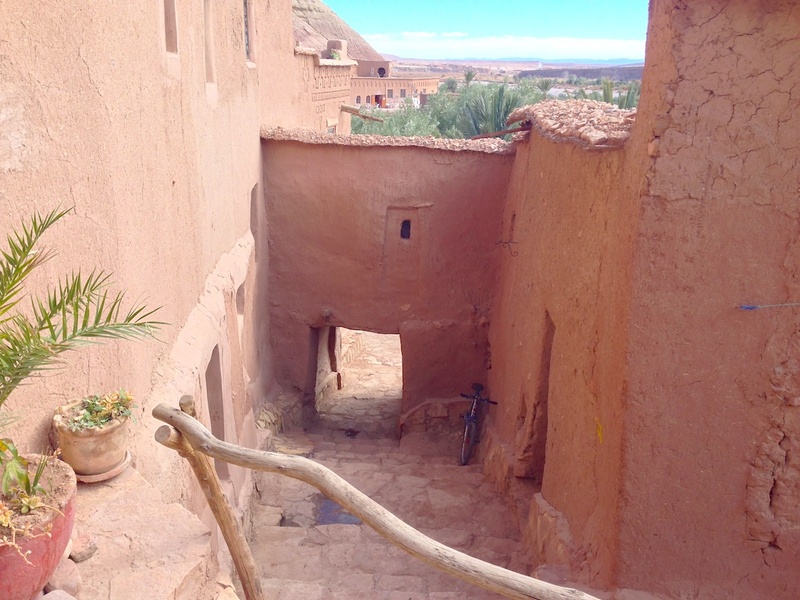 On arrival at Magnificent Morocco’s appointed hostel on the edge of the desert, you’ll be allocated a room or suite. This is yours to use and enjoy whether or not you wish to stay overnight in a desert camp. From here you can proceed on foot, on camel or by quad bike as your Berber guides lead you into the dunes to discover the spectacular beauty of the desert and to appreciate nomadic life in all its simplicity. Around 20km to the north of Meknes, set high up in the foothills of Mount Zerhoun overlooking the fertile plains of the Saiss Valley, is the whitewashed town of Moulay Idriss. In a way, this makes it different and a complete contrast to the familiar ochre-red villages and settlements that blend into every landscape. 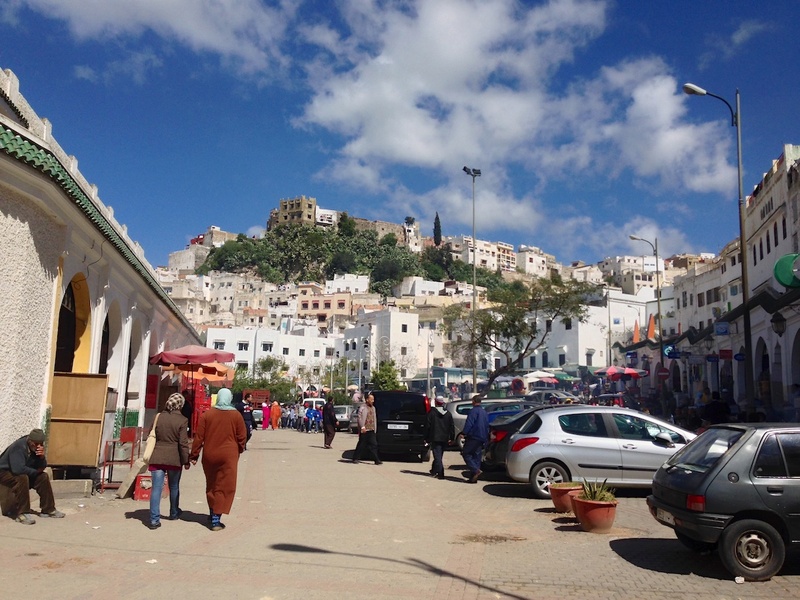 But what sets the town of Moulay Idriss apart from anywhere else in Morocco is its namesake. For it was here that Moulay Idriss el Akhbar, the great-grandson of the prophet Muhammad, arrived in 789 AD bringing with him the religion of Islam and a new dynasty. The mausoleum of Idriss I – located off the main square and only accessible to Muslims – is now enshrined in Muslim folklore and justification for thousands to gather each summer to celebrate and pay homage to their patron saint. After the hustle and bustle of Marrakech, the Ourika Valley is a great tonic for the body and soul. Set in the foothills of the High Atlas Mountains, it’s a perfect location for a day out and to be at one with nature again. The one hour drive heading south-east from the ‘red city’ soon passes as you take in the dozens of Berber villages dotted around the spectacular landscape featuring palm groves and fruit trees that unveils before you as you climb higher into the mountains. There’s an opportunity to stop at a local Argan cooperative en route and get close-up to the Berber women who transform the nuts from the Argan trees into oils, soaps and all manner of cosmetic products. While exploring the valley, there is an ample number of cafés and restaurants to take refreshments and numerous souvenir shops to while away your time. But for the more adventurous, the highlight of the trip is the trek upstream to visit the tombs of Setti Fatma (Lady Fatima of Ourika) and her two daughters. Legend has it that she possessed special healing powers and, hundreds of years on, the location still draws many of the indigenous population to bathe in the waters here. The Cascades d’Ouzoud present not only a great excuse for a day trip but also some fantastic photographic opportunities. The falls are right up there with the Hassan II Mosque, Jemaa El-Fnaa, Aït Ben Haddou and camel trekking in the Sahara as the most iconic images of Morocco. 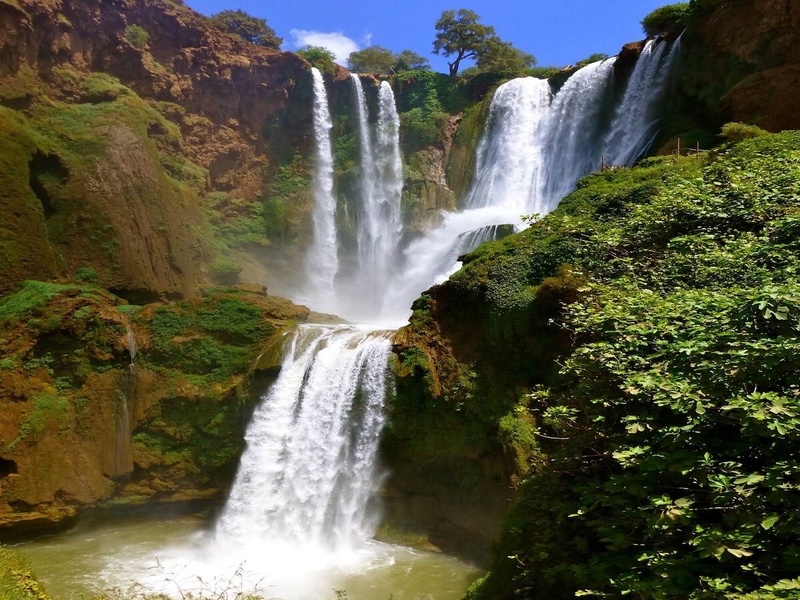 Bordering the Western High Atlas National Park and north-east of Marrakech, the Cascades d’Ouzoud have a fall of around 100 metres and rightfully claim to be the most beautiful waterfalls in Africa. Narrow, winding paths lead to the base of the falls and at the bottom of the drop is a large “plunge pool” to which many visitors take during the summer months. Situated in the middle of a bare plateau south of the High Atlas Mountains, Ouarzazate has emerged as an important base for those embarking on desert tours. No surprise then that the town is known locally as “the doorway to the desert”. For others, Ouarzazate offers a welcome sojourn for travellers, as has been the case for centuries since African traders would pass through with their goods destined for northern Morocco and Europe. With its strategic location at the convergence of the Drâa, Dadès and Ziz valleys, Ouarzazate’s jewel is undoubtedly the Kasbah Taourirt. 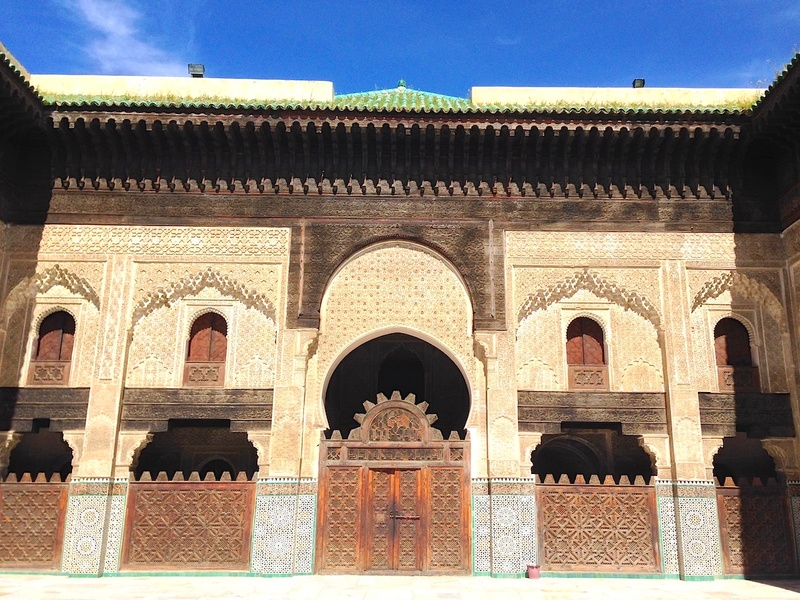 Few would argue that it is one of – if not – the most beautiful kasbahs in Morocco. With UNESCO’s support, restoration work is well advanced on this four level structure and a visit is thoroughly recommended. More a voyage of discovery than a visit, there are maze-like corridors and multiple staircases that lead you to rooms and chambers of various sizes, with superb craftsmanship to admire at almost every step of this journey into history. 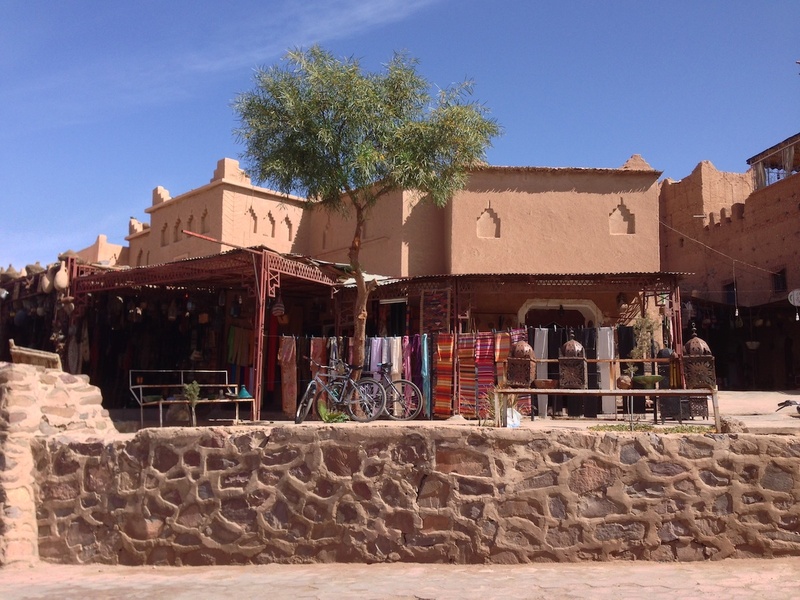 Long after the downturn in trade from the caravans, it was Ouarzazate’s very location that has given the town its big commercial break. 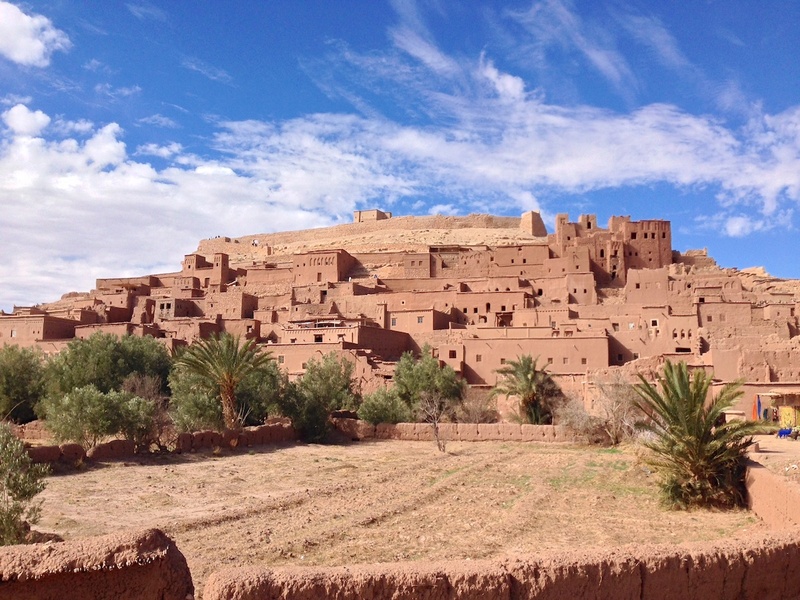 With easy access to the desert, sweeping planes, lunar landscapes, valleys and ancient villages, Ouarzazate is the home of Morocco’s film industry. 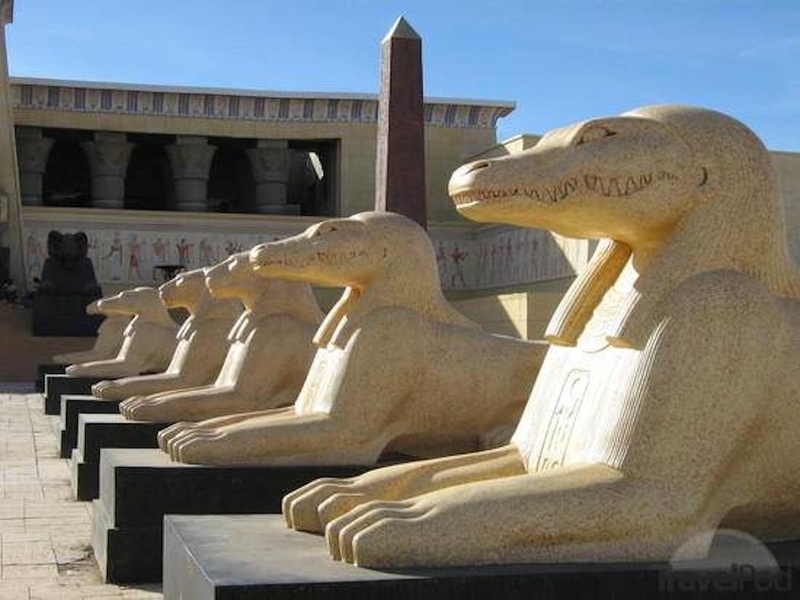 Two major film studios and a cast of a thousand extras have played host to numerous international blockbusters including The Last Temptation of Christ, The Mummy and Lawrence of Arabia. Fluctuations in the global economy had kept the studios quieter than they would like to be, but during the first half of 2104 investment in movie production in Morocco was already more than double for the whole of the previous year. Tours of the studios are still available and well worth the opportunity to capture some dramatic images from some of the remaining sets used in many of the movies filmed here. With Marrakech currently regarded as the “fun” capital and Fès as the spiritual capital, Rabat is the political capital of Morocco and arguably the most conservative of the country’s four Imperial Cities. 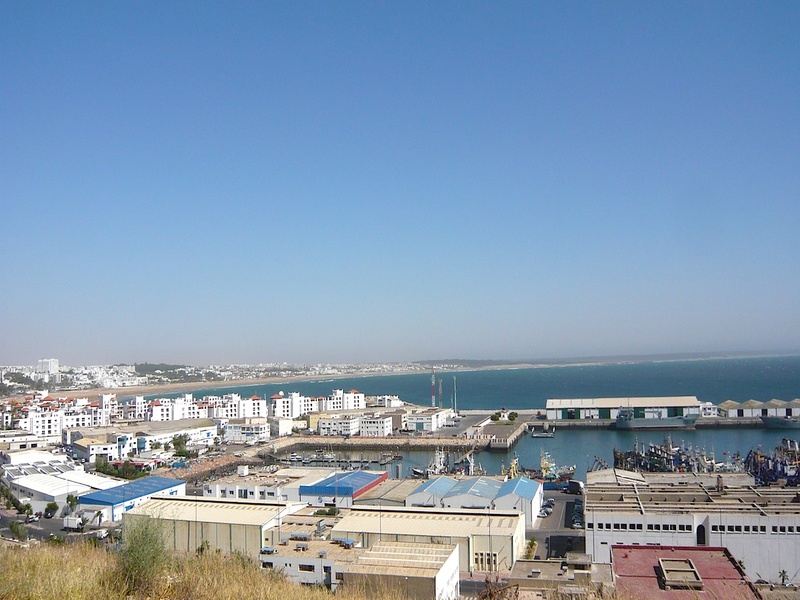 Bordering the Atlantic Ocean, Rabat is situated on the southern side of the Bouregreg River, facing its neighbouring (some would say ‘rival’) city of Salé. Ironically, Salé was first established on the south side of the river. The site, known now by its Arabic name Chellah, is both a Roman ruin and Islamic burial place. Little remains of the original and important Roman settlement but its location, ruins and a bit of imagination can inspire you to appreciate what life might have been like there. With the majority of Rabat’s working population going about their daily business of helping to govern the country, you’ll have ample time to relax and explore many of Rabat’s other “must see” landmarks. 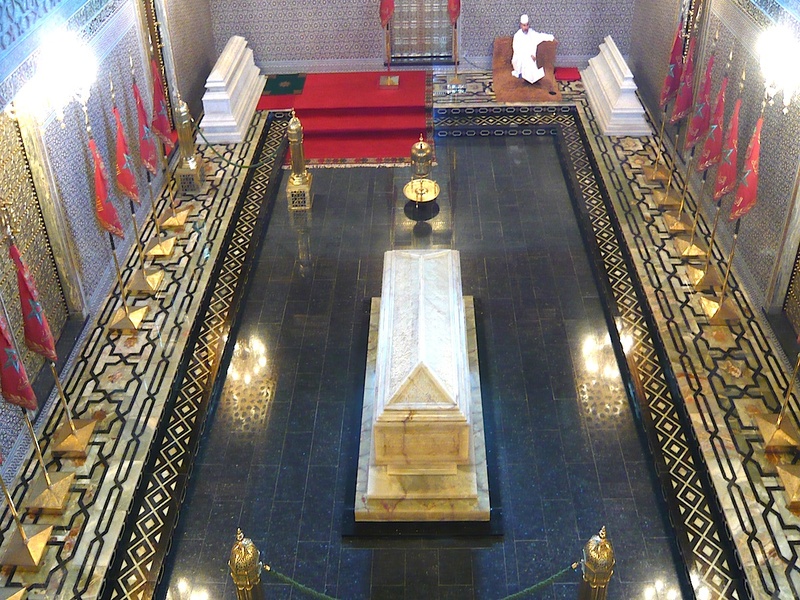 Not to be missed is the Mausoleum of Mohammed V and tombs of his two sons, the late King Hassan II and Prince Abdallah. A magnificent example of modern Alouite architecture, the finesse of the exterior is matched only by the incredible detail and craftsmanship inside. Guarded fiercely by members of the Royal Guard, the mausoleum is open to the public and photography (discreetly) is permitted. 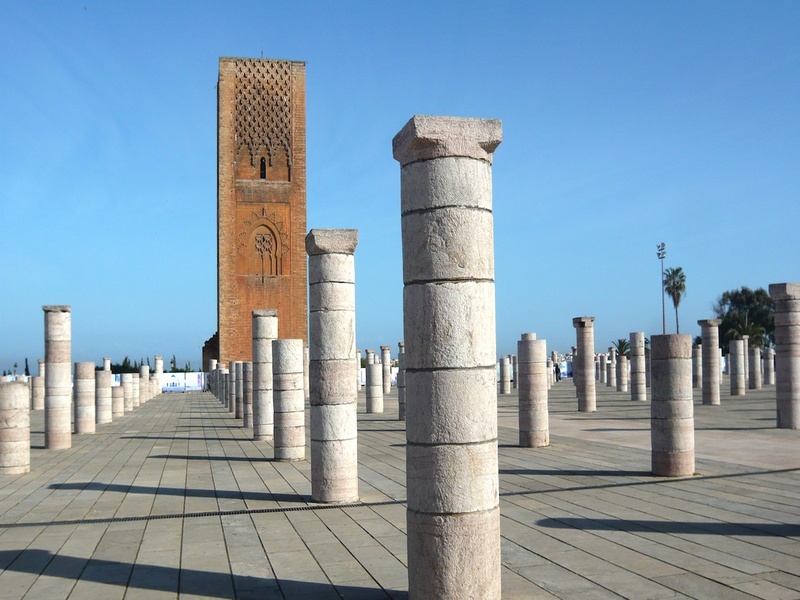 Adjacent to the Mausoleum is the Hassan Tower and the remains of some columns: the only remnants of an ambitious project started by Yacoub El Mansour in 1195 to create the largest mosque and minaret in the world. The concept never came to fruition as El Mansour had imagined and although the mosque and minaret were partially completed, irreparable damage was caused on November 1, 1755 by tremors from the Great Lisbon Earthquake. Think Sidi Ifni – and think surfing, sea, sand and sun. It’s unfair to suggest that time stands still here – but it does move at a very unhurried pace. And that’s part of the charm of this Atlantic coastal town south of Agadir and Mirleft. 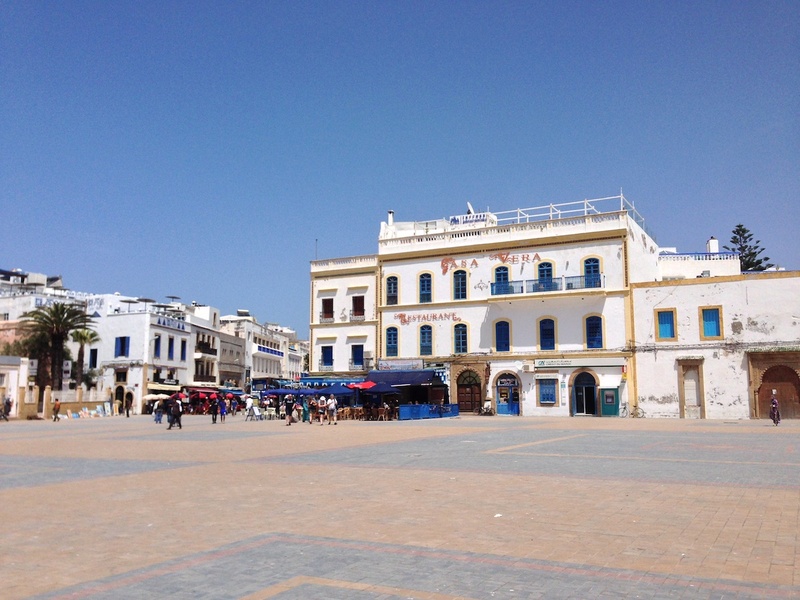 A former Spanish enclave – it was ceded back to Morocco as recently as 1969 – the Spanish Art Deco buildings stand proud in the town’s main square…although many other parts of the town seem like poor relations. But it’s the climate and the surf that make Sidi Ifni such a draw. Popular with campers, backpackers and locals, the waves here and along the coast to Legzira offer arguably the best surfing on Morocco’s Atlantic coast. An open-air market descends on the town at the weekend with all manner of fruit, vegetables, spices, oils and household goods on display. And because the market is primarily for the locals, prices for handicrafts and jewelry can be extremely keen. 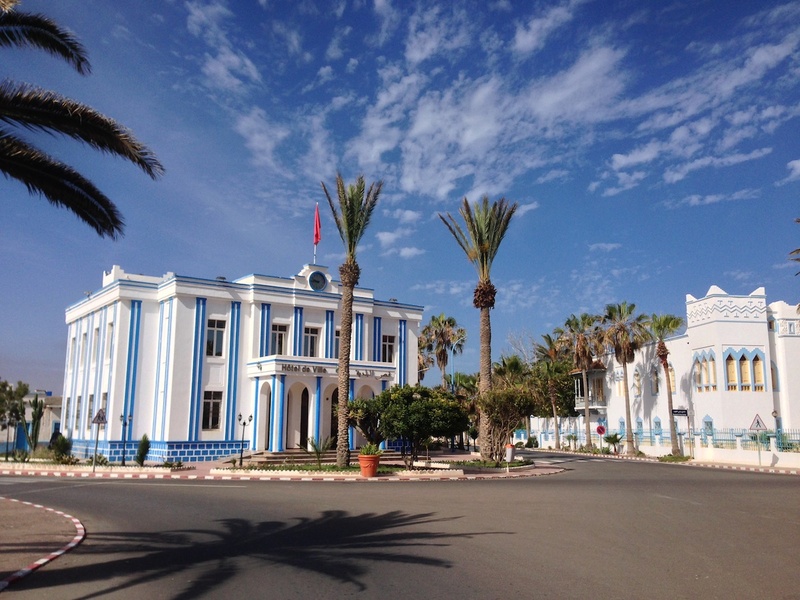 With huge investment being ploughed into the town’s port, the signs are that Sidi Ifni could soon be on the verge of change…albeit at its own pace. 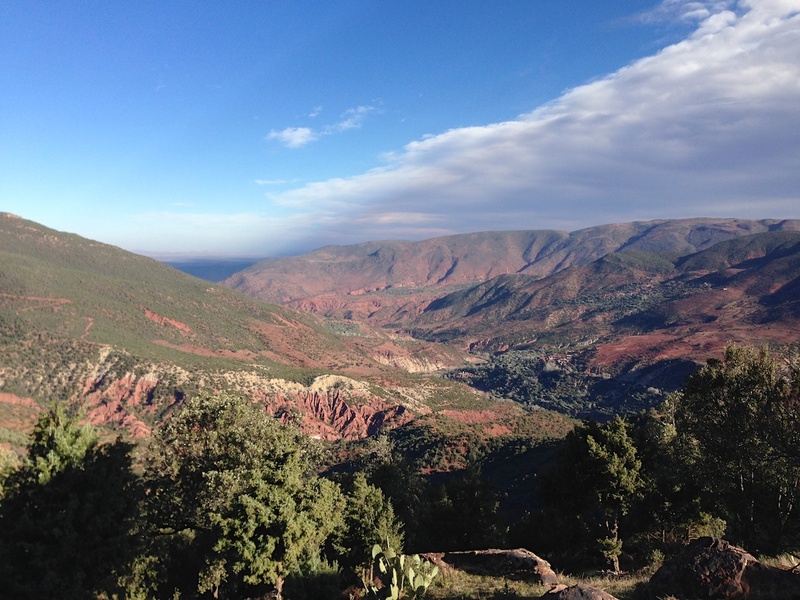 Featured in one of our Southern Morocco private tours, Tafraoute rests hidden away in the Anti-Atlas Mountains. This is true Berber country. The land is seemingly inhospitable. The weather is one of extreme cold in the winter and irrepressibly hot in the summer. Yet, the locals are happy with their environment – and extremely welcoming and friendly too. The original village evolved around an oasis as the local tribes people eeked out an existence using their livestock, the Argan and almond tree and their innovation to trade with nomads en route to and from Marrakech or the Atlantic Coast. The weekly market here remains a tradition carried through generation after generation. Away from the pink and white buildings – although sometimes perilously close to them – Tafraout’s scenery is dominated by a boulder-strewn landscape punctuated with huge outcrops of rock. Typically, life is unhurried in Tafraoute and it’s well worth pausing here for a break to explore and discover an unusual souvenir or memento which has been handcrafted by one of the locals. Now placed firmly on the map as the European gateway to Morocco, Tanger (Tangier or Tangiers, if you prefer) is a true multi-cultural melting pot – while retaining a typical Moroccan ambience. Religious, political and internal upheavals since the 5th Century have all shaped the Tanger of today, given its strategic location at the entrance to the Mediterranean. While much of the local economy is based on industry, the focus increasingly is on tourism with the development of new hotels, beachfronts and transportation infrastructure. Much of the recent architecture reflects colonial influences, but there’s nothing like a true taste of Tanger than a visit to the medina: a treasure trove of things that you don’t necessarily need but “must have”. Yes, it can be intense at times, but that is the nature of how so many people here stand to make a living. Head for the Grand Socco (main square) to draw breath from shopping and relax with a mint tea while watching the world go by. 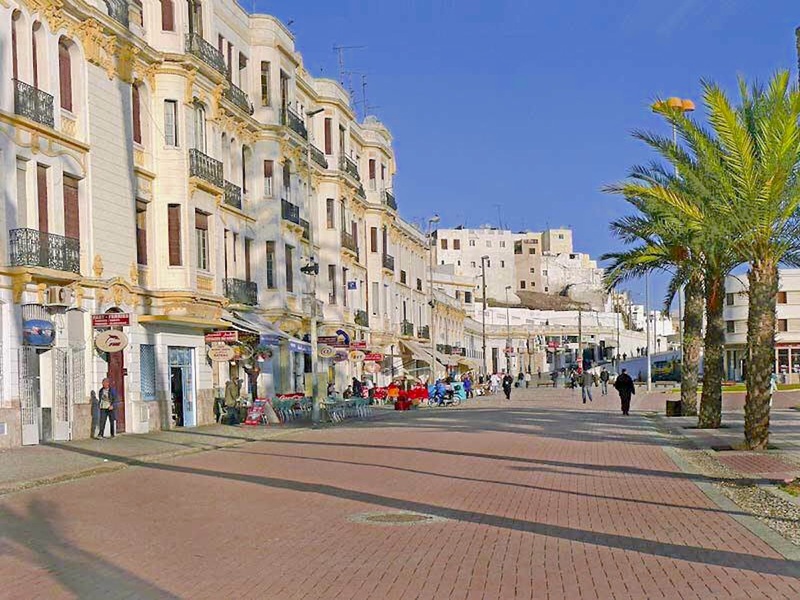 On the cultural front, Tanger has a rich history. 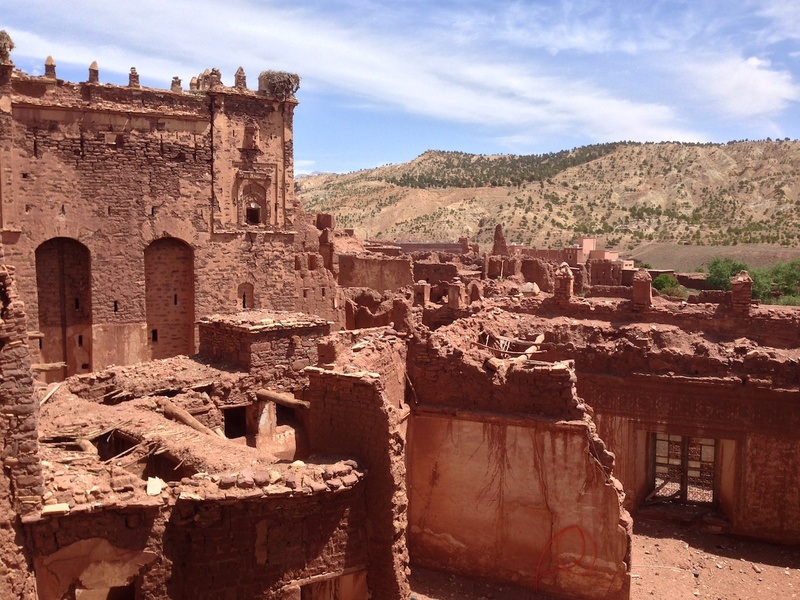 The Kasbah Museum, The American Legation and The Museum of Moroccan Arts offer a fascinating insight to the city’s past. Away from city life, you can enjoy a stroll along the seafront, enjoy the fresh air or indulge in sumptuous seafood. 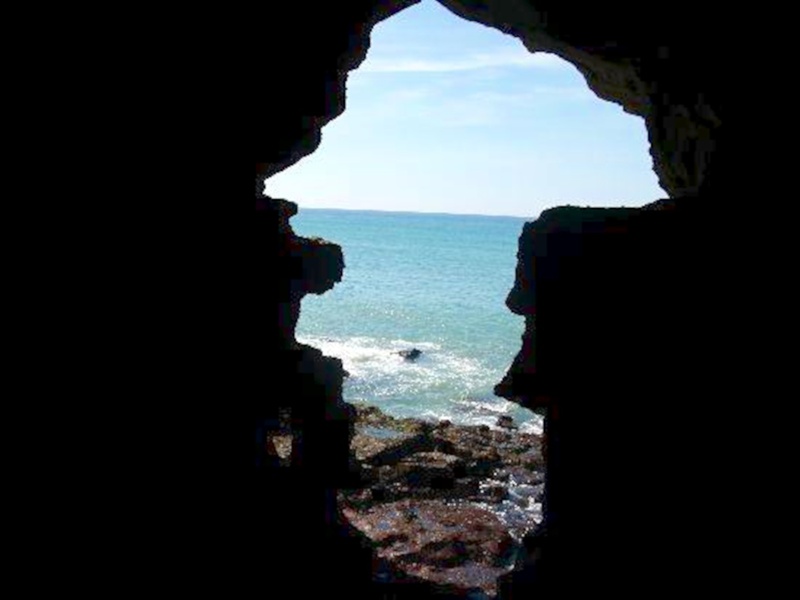 Just a short drive out of the city is one of Tanger’s prime tourist attractions: the Caves of Hercules. Well worth a visit – not only because legend has it that the Greek hero Hercules once stayed here and created (what is now) the Straits of Gibraltar with a mighty blow from his sword but also for the uncanny shape of the African continent that remains from this part natural and part man-made structure. Of course, a visit to Tanger would not be complete without enjoying a tangerine or two! 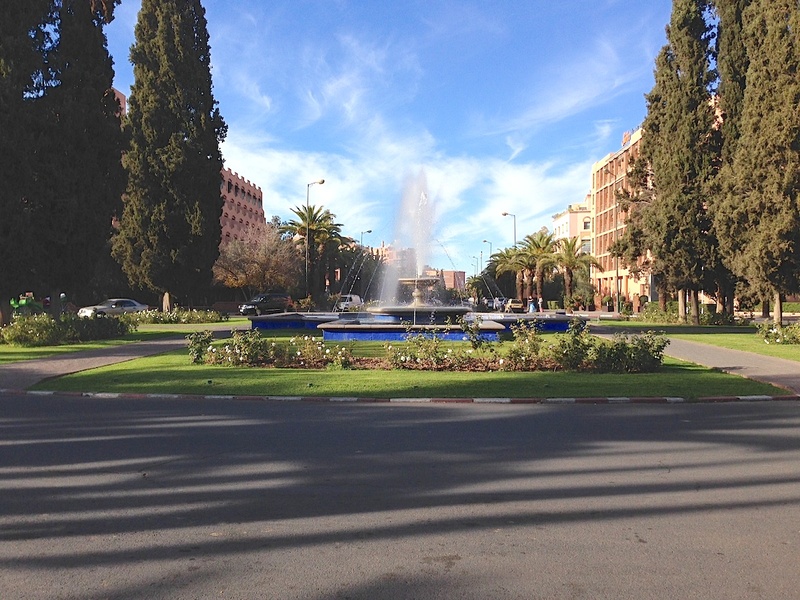 Often referred to as the “Little Marrakech”, it’s clear to see the resemblances. On arrival, the red, pink and orange hues of the city walls strike a chord immediately with Marrakech. But Taroudant is anything but Marrakech. 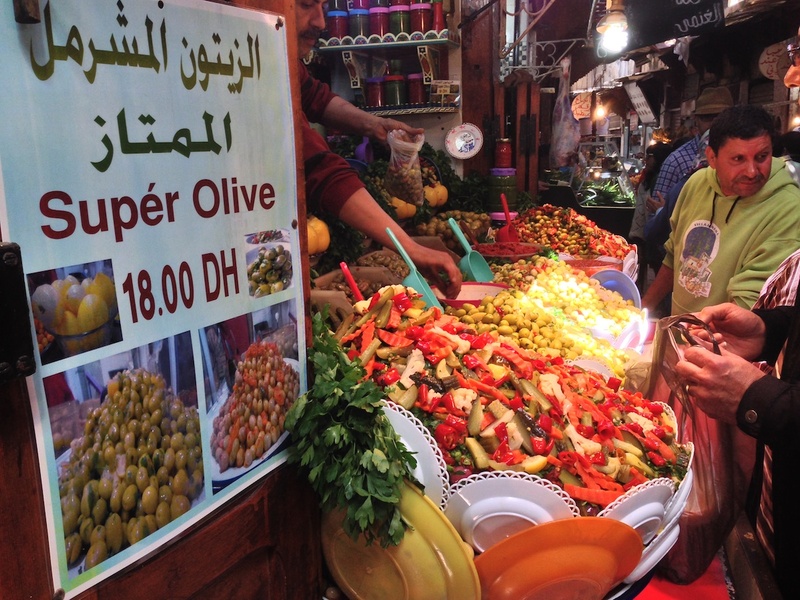 It’s more relaxed and less expensive, which makes wandering through the souks more fun. And in spite of being off the main tourist trails, Taroudant remains a popular feature of any itinerary which takes in the Souss Valley. Formerly a Saadian capital, Taroudant has had its fair share of visitors, some more friendly than others. But the legacy of these different cultures has shaped the way the town is today. The ramparts contain no less than nine gates. Once inside the Medina, you’ll be entranced by the variety of boutiques, stalls, kiosks and cafés that will help you pass the time here. Leather goods and jewelery are particular specialities of this market town, but the herbalists and honey sellers are well worth investigating too. Deep in the High Atlas Mountains – and strategically located just south of the renowned Tizi n’Tichka pass – is the Kasbah Telouet. Reputed to be the most beautiful kasbah in Morocco, it’s hard to understand why as you approach the crumbling ochre-coloured building. But step inside and you’ll start to appreciate how this unusual edifice has earned such an important place in the history books of Morocco. The kasbah dates back to the 18th century and was occupied solely by the legendary Glaoui family until as recently as 1956. Its important location played into the Glaoui family’s hands in two ways. Not only was it ideally placed to extract taxes off the numerous caravanserais passing through the mountains in return, partly, for safe passage and protection en route. But also, by virtue of the land and power bestowed on the Glaoui by Sultan Moulay Hassan. The figurehead of the family, T’hami el Glaoui, became one of the powerful Pashas of Morocco and the self-appointed Lord of the Atlas amassed considerable wealth and influence as a tribal leader. His downfall came in a failed attempt to overthrow Mohammed V during the 1950s at a time when the power of feudal warlords quickly evaporated. Some of Pasha Glaoui’s wealth was invested in the kasbah. And although his assets were seized by the State, renovation work is only progressing slowly. On the plus side, this still allows us to witness first hand the original features and layout of this once magnificent residence. At 2,260m, Tizi n’Tichka is Morocco’s highest mountain pass. Completed in 1936 by the French Foreign Legion, this stretch of the N9 route between Ouarzazate and Marrakech was constructed to replace the former caravan route from the north to the Drâa Valley and onward to the south of Morocco. 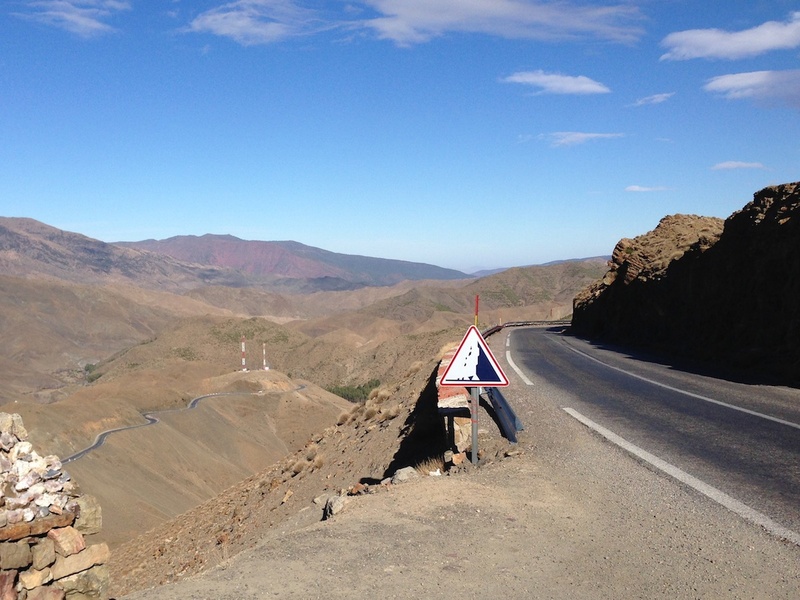 It’s one of the two main passes through the High Atlas Mountains and delivers breathtaking scenery at almost every turn of the road. From expansive valleys peppered with Berber villages to sheer drops mastered by only by shepherds, the journey to and from the Pass provides a fascinating insight to how the Berbers have overcome such a harsh and challenging environments to sustain a living which is compatible with their means. If the Dadès Gorge does not provide enough spectacle for you, then there’s every chance that the neighbouring Todra Gorge will! 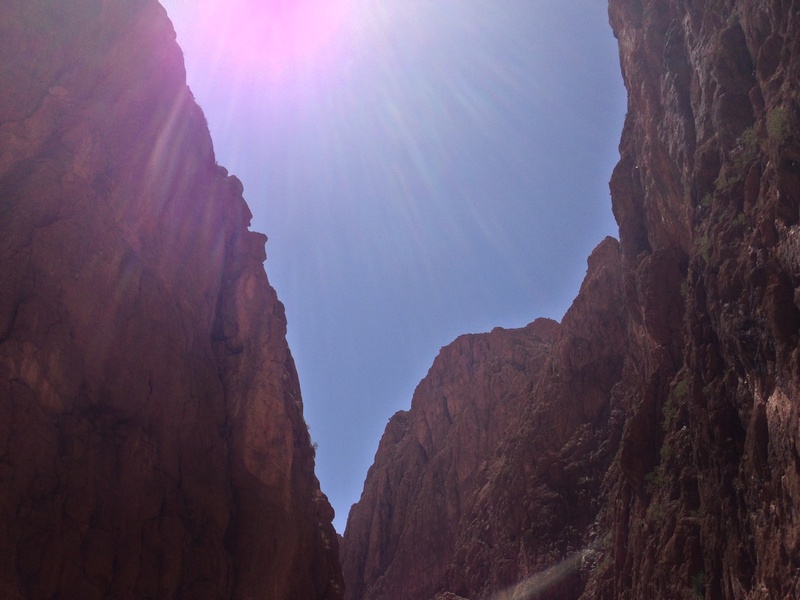 Just a few kilometers to the north of Tinghir, through countless Berber villages and palmeraie that often seem to defy the realms of sustainability, the Todra Gorge is one of Morocco’s many natural wonders. 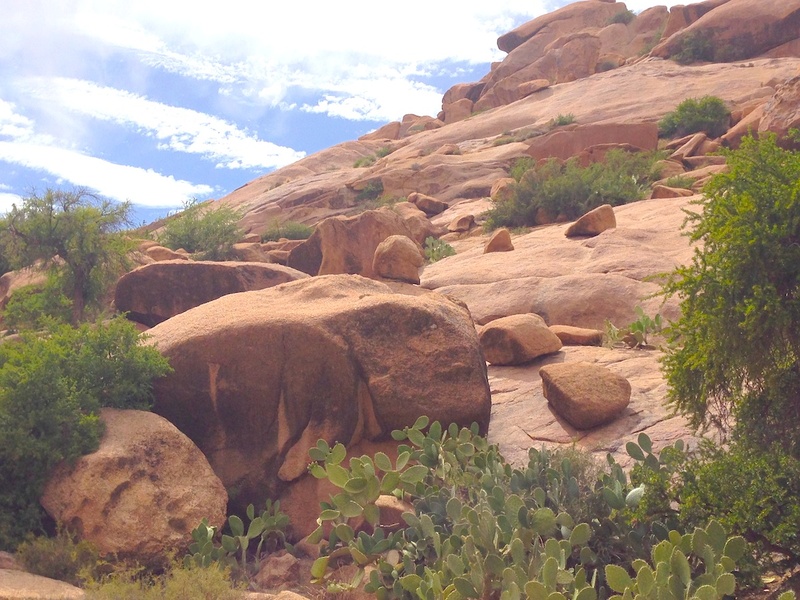 As the road twists and turns, the valley becomes narrower until suddenly you find yourself in a huge corridor of rock. Best visited in the morning, the sunlight brings out so many different hues of yellow and red within the rock face which ascends to more than 300 metres – a physical attribute enjoyed by climbers from all over the world. For most of the year, the base of the gorge carries a gentle stream from a spring where (not surprisingly) a restaurant now provides a commanding view through the cliff faces. It’s a popular place to relax, sit back and marvel at how the power of nature can create such unusual beauty. Once the furthest outpost of the Roman Empire, the ruins of Volubilis – a short drive from Meknes and Fès – present a vivid reminder of how the Romans lived, worked and played…often to excess. 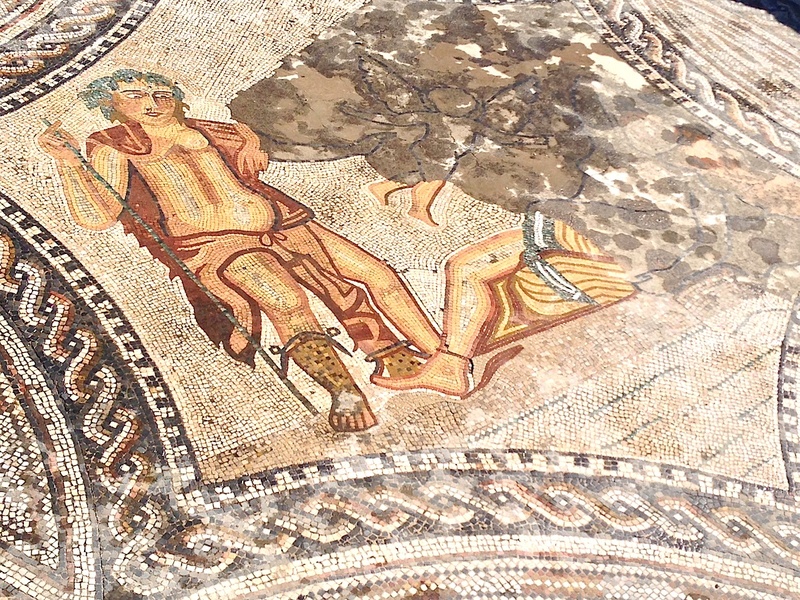 The ruins, largely from the second and third centuries, are well preserved and some of the mosaics have stood the test of time exceptionally well. Whether you choose to be accompanied by a guide or a guidebook, you can soon grasp the enormity of the settlement and an appreciation of Roman life. 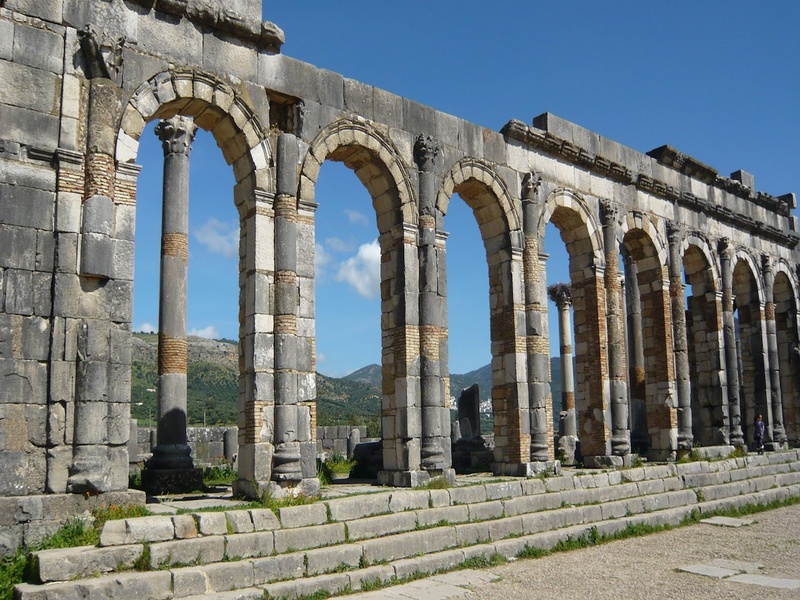 From its defensive hillside position overlooking a fertile valley below, Volubilis had all the credentials – including water – to mirror a typical Roman city. To date, excavations have revealed a forum and triumphal arch with a via appia, basilica, hammams, a laundry, ablutions and the foundations for houses and shops. For more information about the locations featured here or other sites of special interest that you would like included on your tour, please forward your requests directly to our office via email.